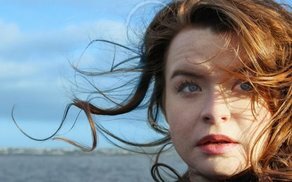 An Pointe Productions has announced plans to premiere its second feature film ‘We Ourselves’ at Dublin’s Savoy Cinema. The screening will take place on Thursday, October 18th at 7.30pm, after which the film will be given a week-long exclusive run at the Savoy Cinema from 18th – 24th October, 2018. ‘We Ourselves’ is a low-budget independent film, written and directed by Paul Mercier and produced by Anne Gately. The film stars Aidan Gillen, Catherine Walker, Declan Conlon, Paul Reid, Seána Kerslake, Gavin Drea and Caitríona Ennis. While cinematography is by Ronan Fox, music is by John Dunne and editing is by Ultan Murphy. First screened at the Galway Film Fleadh 2018, ‘We Ourselves’ is an off-beat ‘talking heads’ film centred on the lives of seven Irish friends over a period of twenty-three years. It is an intimate and intense journey into the minds and hearts of a group of idealists and careerists as they go their separate paths in life. The film is funded by The Broadcasting Authority of Ireland, The Irish Government Film Incentive Scheme and Virgin Media Television. Based in An Pointe in the Connemara village of An Cheathrú Rua, An Pointe Productions is a small independent Irish production company. Their previous film ‘Pursuit’ had a limited release in Ireland in 2015 and was broadcast on TV3 before being selected for the Jackie Chan Action Movie Category of the Shanghai International Film Festival and subsequently released in China in 2017.